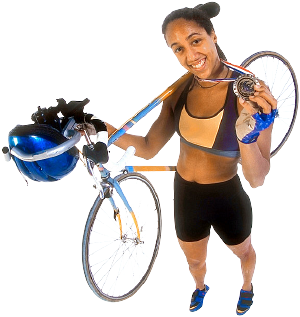 Welcome to Guide 2 Cycling, our web site about bicycles and cycling. Cycling is good for your health, helps you keep fit, is better for the environment than driving, and a lot of fun too! In short, riding your bike is one of the best ways there is to get around... we recommend it for everyone! On this web site, you will find many articles about cycling, as well as books, magazines, links, and bicycles to buy. Whether you're a novice, or an experienced bike ride, we hope you'll enjoy! Please use the menu to navigate this web site. And, don't forget to bookmark us!